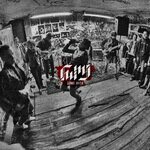 It has been online for some time now, but in case you didn't know: Russia's Fury streams its entire demo on band's bandcamp profie. Check it out here. It's very raw, but some of you might like it. Plus, the band is female fronted and there's a Ceremony cover. Go and listen to the band here.